Katsina State social media personality Abu Aminu has called on the attention of Masari’s administration in Katsina to reconsider painting government owned schools with party color. According to Abu Aminu, the choice of paint color they are using is not suitable to withstand the kind of environment in Katsina. He made mentioned of a school in Dayi which was recently painted with APC party color but has soon fade away leading to wastage of public money. Abu Aminu advice the government to do proper research before embarking on unnecessary painting that will not last for few months. The painting of government schools by the Masari administration has since been criticized and rejected by the people giving the rich cultural identity attached to the green white green paint. To many, the painting of government schools with APC color is seen as an identity theft which should not be tempered with. STILL ON THE SCHOOLS PAINT. 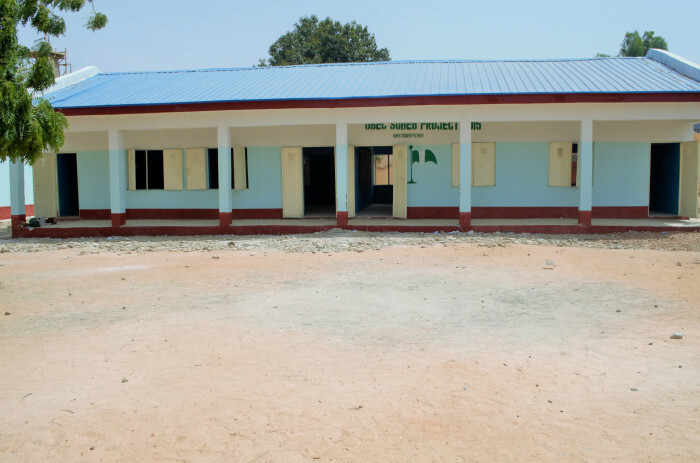 It was no longer rumour that the APC govt is painting the renovated schools with APC colors. May be because the Renovation is now reaching corners of the state. Now, what will happen if APC(national) decided to change its color today? Or if PMB or HE. Masari decided to decamp? etc. Now all are not my problem. My problem is, the APC paint is not Compatible with our Environment. And not in tandem with Researches coducted by International Association of Color Consultants(IACS). For now The paint is already fading. Meaning we need to paint again soon. A School in Dayi is a good Example. And repainting is not good for our narrow budget. I wish to suggest that our Govt. Face reality and grow up above medieval political goals. We should be able to Know the colors that are compatible with our weather and Climate, and also colors that are suitable for learning. “Appropriate color design is important in protecting eyesight, in creating surroundings that are conducive to studying, and in promoting physical and mental health.”IACS"